The B48 L is for those applications when a condenser microphone is used where no phantom power from a mixer is available. 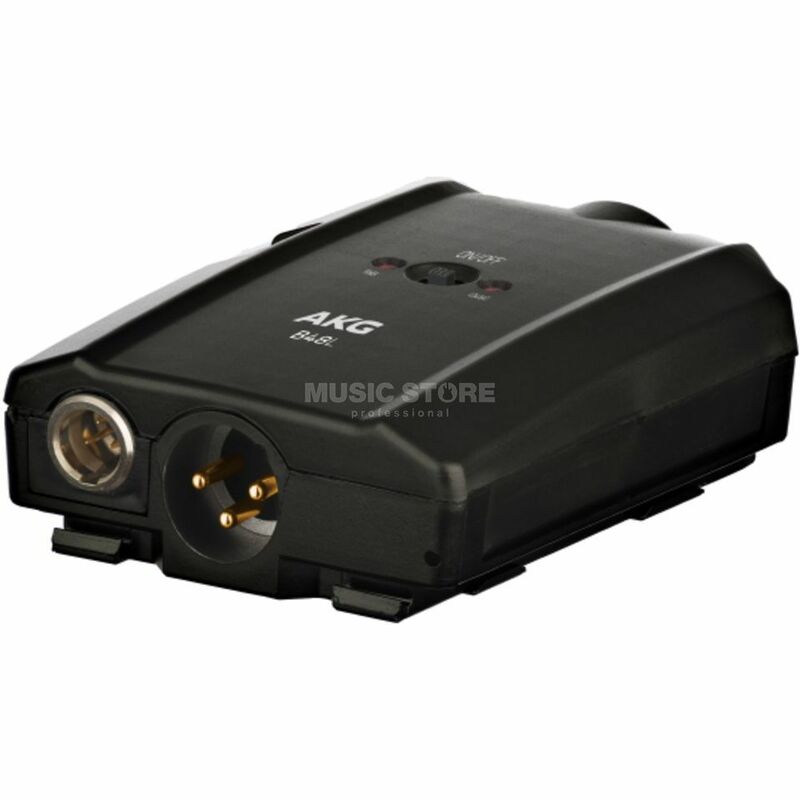 The additional mini-XLR audio output and the included mini-XLR to mini-XLR connection cable support a direct connection to all AKG body-pack transmitters. The phantom power of the audio input supplies microphones with 48V and meet the P48 standard. The B48 L is a battery powered one channel phantom power supply for P48 condenser microphones. B48 L is designed to meet the demand of lowest noise level even in operation with high-end condenser microphones for professional applications in theater or touring applications.